Design Interior design is a major part of most people’s lives, as making your home look and feel great is an important attribute towards healthy and happy living. Buy a single copy or subscription to L Officiel 1000 Models Design magazine. There are often so many new and wonderful things happening in the world of interior design that it is quite difficult to keep yourself up to date on all the latest seasonal styles, new and innovative designs, and all of the great designers who are making significant contributions to the very art of interior design. Additionally, interior design is such a broad category that solely depends on a person’s individual taste that it is even more difficult to present a comprehensive interior design publication that showcases all of the ways in which you can make your home absolutely spectacular. 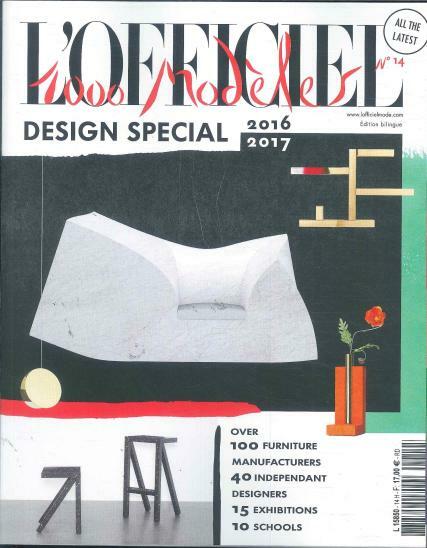 L’Officiel 1000 Models – Design is considered by many to be the most detailed, informative, and entertaining interior design publications that solely focuses on the designers and their work from around the world.